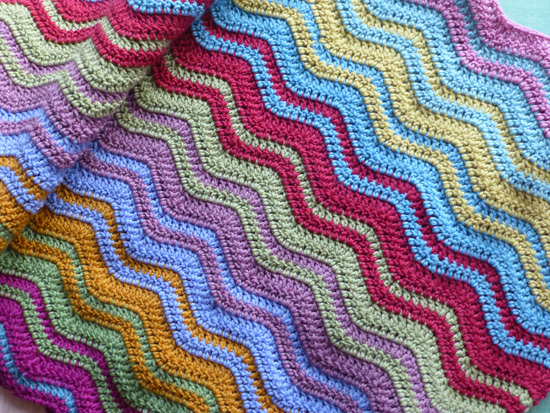 Progress has begun, again, on my Attic24 ripple blanket. It has been ages and ages since I last worked on it. My colour selections have been alternating warm and cool colours and last night I found that I needed a new cool colour. With only 2 blues left sitting in my bag. The last few colours were blues, so I needed something new. Like I needed an excuse to pop into our local yarn shop!? Want to see my new colours? 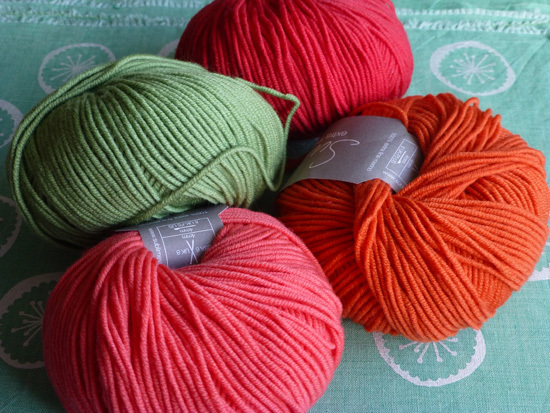 There are a whole bunch of new Sublime Extra Fine Merino colours. Yay! Some lovely bright orange to reds...I must confess that the pinks were starting to get a little boring for me...as well as some new Spring pastels and gorgeous metallics. So, I bought 3 orange-y, pink-y, red-ish balls and another green. Want to see the possible colour line up? ...and the gorgeous bag that I took it all home in....? Hoooked Zpagetti! It's a rather dull shade of brownish grey, but it is intended for this. One day, the wall behind where it will hang will be a lovely shade of sea green, so grey seemed the sensible sort of choice. 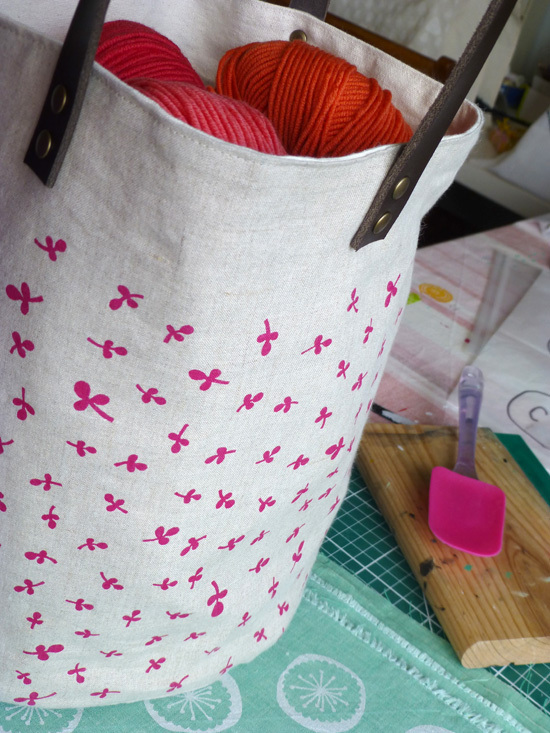 The shop didn't have many colour options - white, ivory, navy, a gorgeous coral-y orange, light and dark grey. 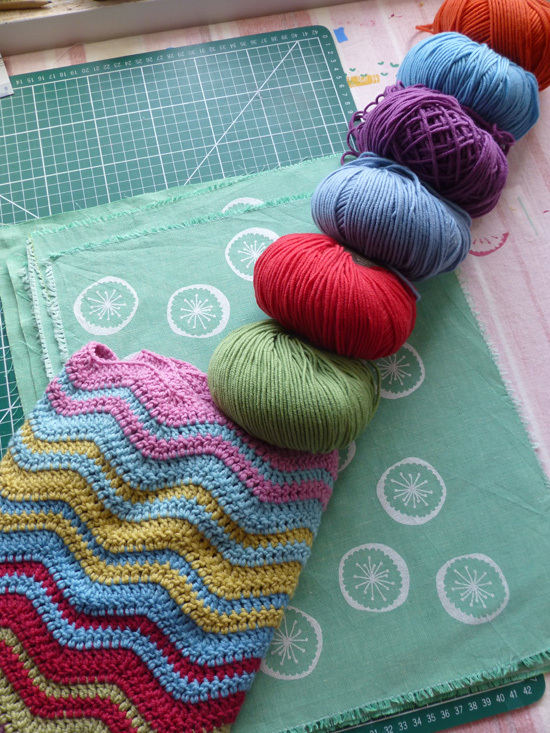 I book marked that pattern ages ago and when the Zpagetti saw me it shouted and screamed at me to take its gigantic self home. 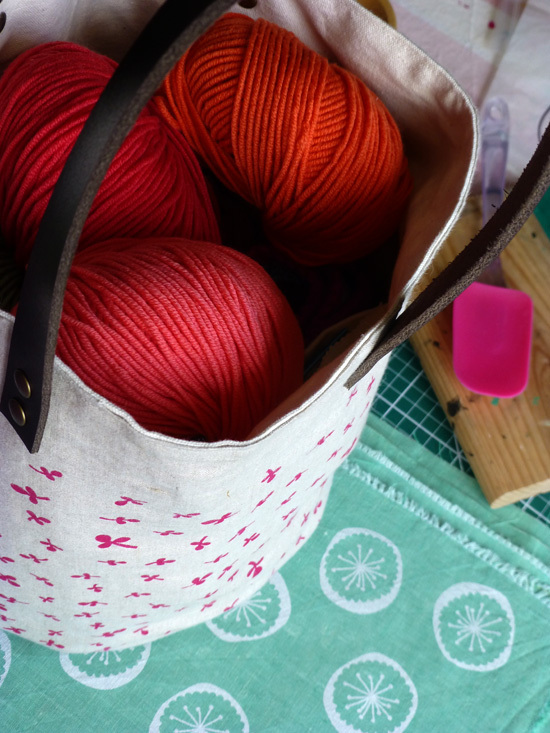 The bag/basket will be used for stashing hats and gloves - which are presently all stuffed into one of those Crocs bags that you get with their kids boots. 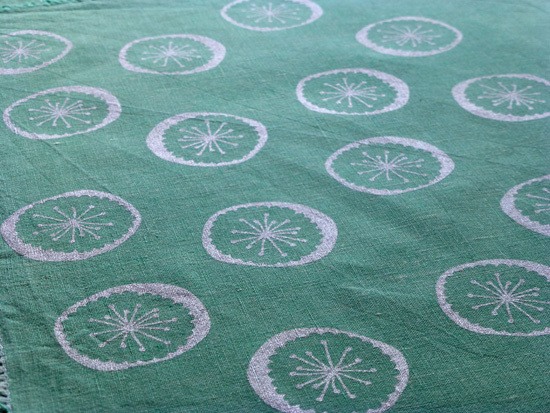 So...you noticed that lovely printed green linen then? No? This one...! The ink is a really lovely pearly white, slightly on the grey side so as not to dazzle the eyeballs. 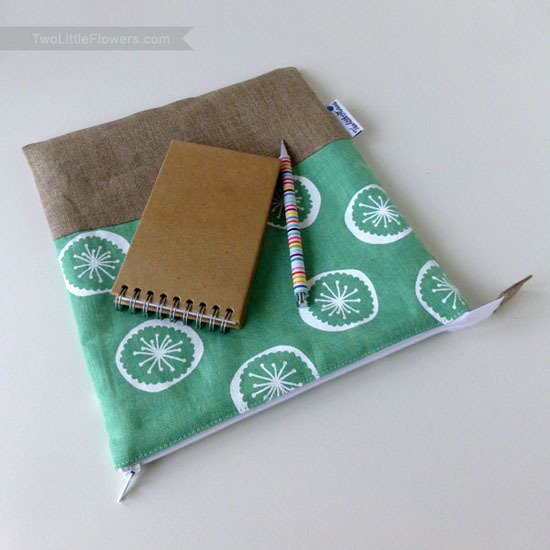 These fabric pieces are destined for gorgeous bags or zippy pouches. I haven't decided yet. More like this one maybe? What do you think I should do with that fabric? 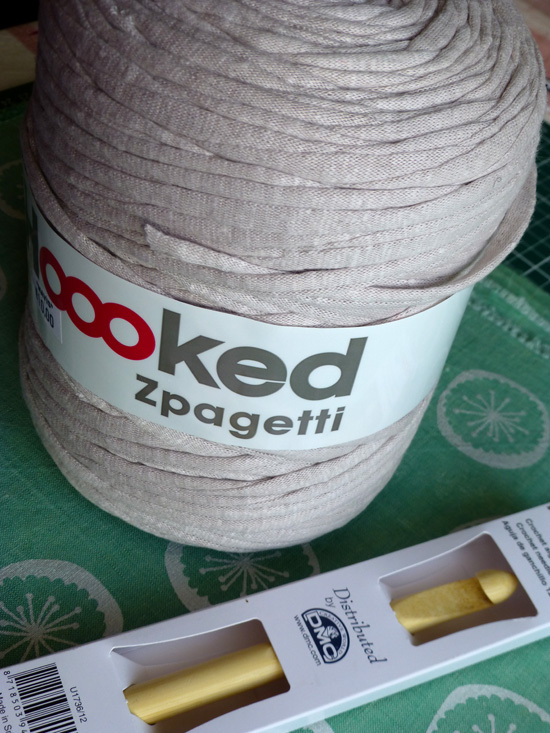 Have you made anything with Zpagetti?